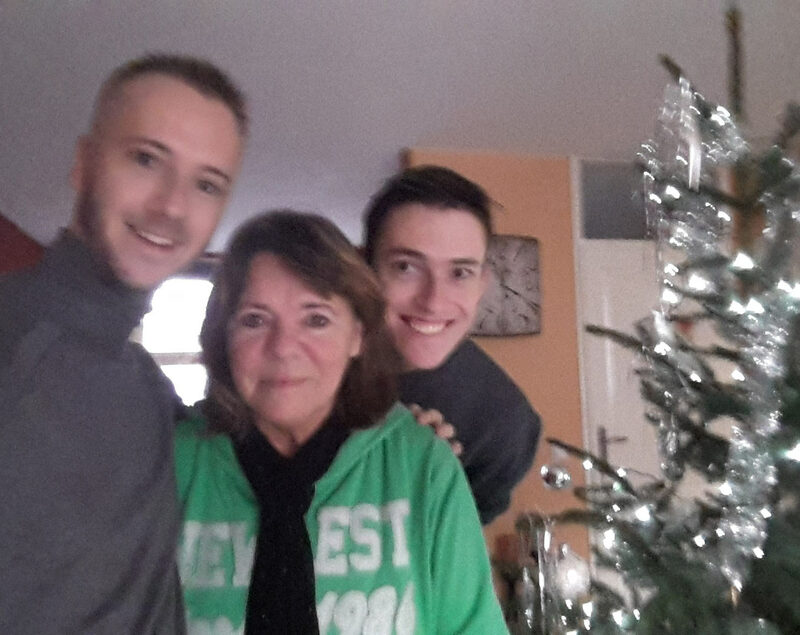 I flew back to the Netherlands to surprise my parents for Christmas! It was Thursday, 24 December around 4pm in the Netherlands and I am standing in front of my parent's house. The day of Christmas Eve was here and I have been looking forward to today for the past three months. You see, I just got off the plane from Indonesia that morning and I travelled by train from Schiphol Airport, Amsterdam to get to my hometown in Arnhem. My parents did not know I was coming home for Christmas and New Years. Before I got to Arnhem, I stopped by at my best friend's place in Utrecht first. She picked my up from the Airport, which was very awesome! We had an Italian sandwich for lunch and afterwards I went for a short nap, because I could feel some jet lag creeping up on me. After that, I felt refreshed and continued the journey towards Arnhem. I met my little brother at Arnhem Central, the remodelled train station that was just finished; I remember the old station being teared down when I was still in junior high school (over 10 years ago). My brother arrived at Arnhem Central from Antwerp, Belgium. He also wanted to surprise my parents, by coming home a day earlier than promised. I asked my brother to check whether my parents were booking a skiiing vacation and to inform me if they did. I couldn't risk coming home to find out my parents weren't home for one or two weeks. Luckily they were! My brother entered the house first, surprising our parents first. I was still waiting around the corner and waited till he was in. Then, I went and rang the door bell. My mom opened the door and she looked really pale: "This is impossible", she said. "I am dreaming? I thought you were in Canada!" (I told my parents I would spend the next week in Toronto). While I was still standing outside the house, freezing my nads off, I asked: "May I come inside, please?". I heard my dad rushing downstairs to have a look. By this time they both had a few tears running down their cheeks. It was awesome! Poor dad had to rush to the supermarket to do groceries for the unaccounted presence, hehe.